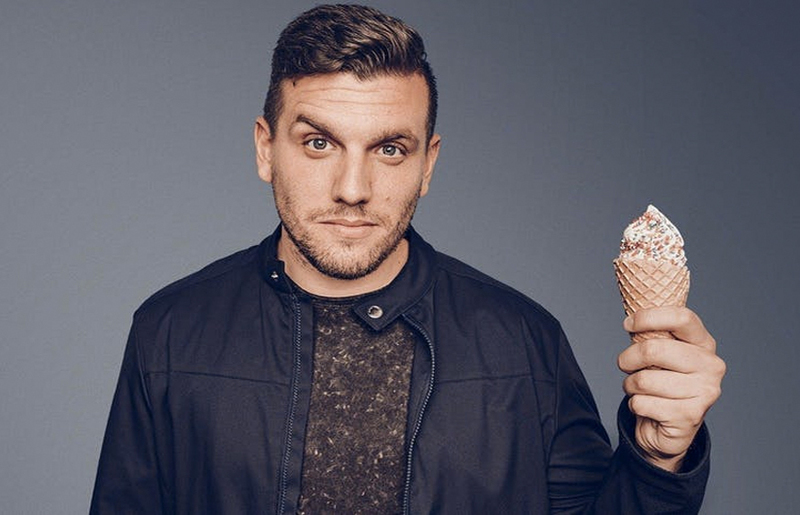 Chris Distefano is an actor and comedian based in New York. You can catch Chris starring in the IFC series Benders, co-hosting Ultimate Beastmaster on Netflix, on his webseries Bay Ridge Boys, as well as the upcoming Amazon pilot Making Friends. Chris has appeared on MTV’s Guy Code and Girl Code, as well as truTV’s Comedy Knockout. He recently starred in and Co-Executive Produced the Sony / CBS pilot, Distefano, based on his life and written by Carter Bays and Craig Thomas, the creators of How I Met Your Mother. Chris has performed stand-up on Late Night with Seth Meyers on NBC and Late Show with David Letterman on CBS, as well as his half-hour set on Comedy Central. He was a New Face at the 2013 Just for Laughs Comedy Festival in Montreal, and can be seen performing almost every weekend at all the major clubs across the country. Brooklyn born and bred, Chris is on a mission to bring some old school Brooklyn comedy back to his beloved borough.